Scarlet red flower spikes bloom late summer and are a favorite food source of hummingbirds and butterflies. A must for open shady border areas, wildflower gardens, shade/woodland gardens, or stream/pond margins. Native to eastern US. Plant in sun or shade. Average to moist soils. 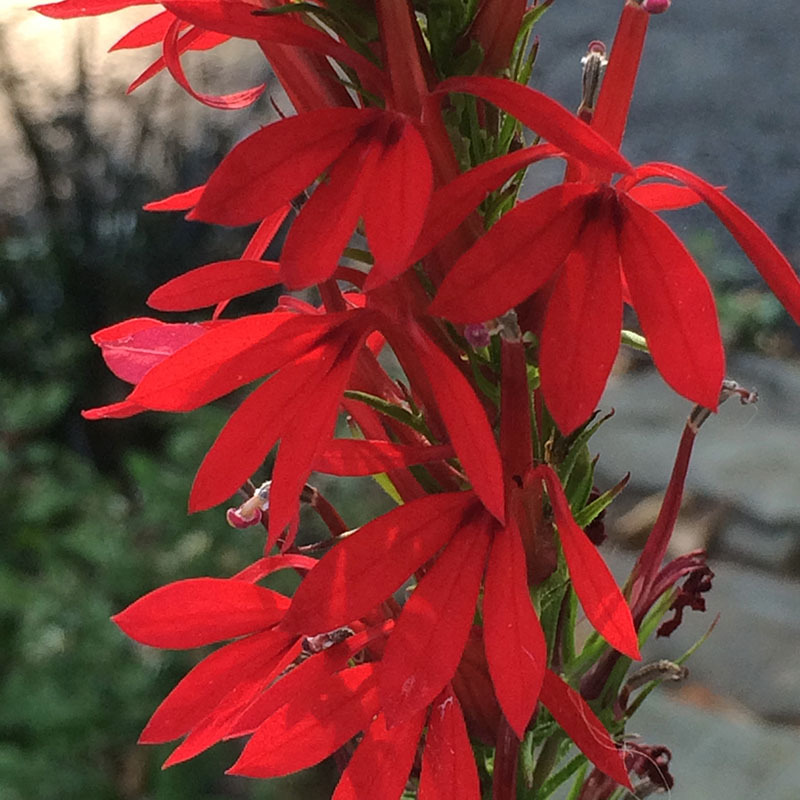 Keep debris off the new offsets in fall to ensure the longevity of your cardinal flower and/or allow to reseed. Zones 2-9.